A cool spring evening. Nürburgring Nordschleife. Nevertheless temperatures are in the two-digit range. Warmed up, the car waits crackling in the pit lane. The new Golf GTI Clubsport S. 228 kW / 310 PS. Countdown. The mission: to write history. Today. With the fastest front-wheel drive production car to ever take on the most legendary of the world’s race tracks. An attempt to take the record. Benjamin Leuchter (28), race car driver and Volkswagen Driving Experience instructor performs a final check of the air pressure of the standard 19-inch semi-slicks. 1.9 bar in front, 2.15 at the rear. 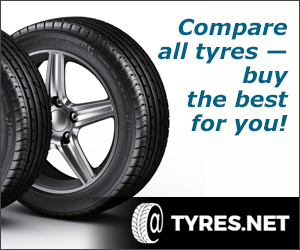 The size 235/35 Michelin tyres have been “warmed up” to temperature, as has the engine. Leuchter puts on his helmet and gives Karsten Schebsdat a hand signal: “I’m ready.” Schebsdat is the Head of Volkswagen Chassis Tuning and is part of the team that developed the fast Golf GTI Clubsport S that can reach a speed of 265 km/h. 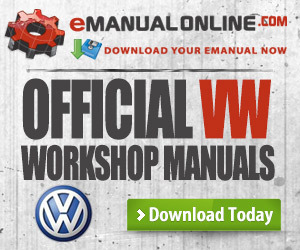 Passionate Volkswagen people from Development, Marketing and Communications worked on it. GTI fans. They spent many months on this car. Refining the “normal” GTI Clubsport and the Golf GTI TCR of the touring car championship into a sporty jewel. Now they want to know what their baby can do. To see how fast this GTI can move on the most challenging race track in the world. Schebsdat taps Leuchter’s helmet. He starts the car, selects the “Individual” driving profile mode and thereby activates the setting for the Nordschleife (North Loop) of the Nürburgring. Special characteristics for the engine, steering and adaptive chassis control system (DCC). The Nordschleife has a unique combination of bends and road bumps. “To break the record here, the GTI must be fast in the bends while simultaneously handling the bumps and leaps”, explains Leuchter as he closes the driver’s door. The Clubsport S specialises in this. The time will be measured by breaking a light beam. Leuchter drives out of the pit lane. One lap. 20.832 kilometres. A flying start. The time is running. Wehrseifen now. Nearly half-time after around 9 kilometres. 3rd gear. Breitscheid. Ex-Mühle. A fast uphill right. Leuchter gains the tenth that he needs to be faster than all of the others: “Normally, a front-wheel drive car shows understeer here. The GTI Clubsport S only exhibits it slightly at the entrance to the bend; it is compensated by a minor load alternation. Ex-Mühle is also bumpy. The Golf handles it superbly. Just like in the mines.” Out of this bend and towards Kesselchen. Kilometre 12. 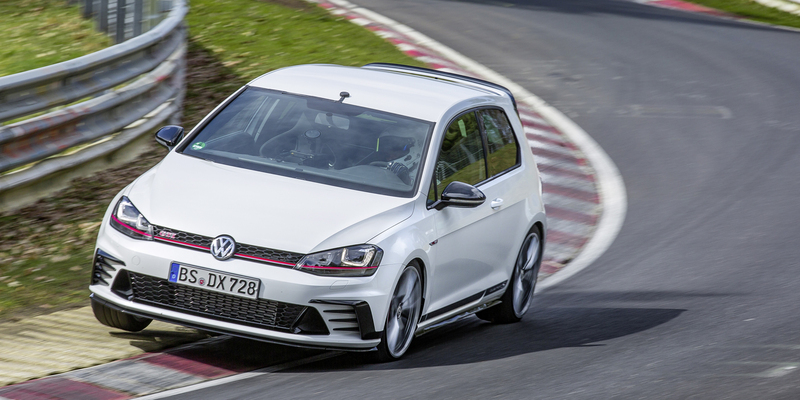 The GTI flattens out the bumps and kerbs, and doesn’t jump a single millimetre. Kilometre 13. Steep stretch. 3rd gear. 27 per cent ascent. The Karussell. Leuchter: “Concrete plates, very bumpy, the GTI doesn’t jump here either.” Hohe Acht. Now the Eifel hills become more alpine, and the Nordschleife gets more challenging. Leuchter’s favourite passage: “Every metre of the Hohe Acht down to the Brünnchen section is demanding on car and driver. Wippermann, for example: Enter very fast. Just touch the kerbs on the left slightly, then full over to the right. And even here this GTI remains true to its line. That is the key to a really fast lap.” Final sprint. Pflanzgarten, the second crest jump. The GTI lifts briefly, comes back down and can be driven very quickly through the double right that follows. Leuchter: “Even when it rebounds to the strut limits, the GTI follows steering inputs.” Kilometre 17, the Stefan-Bellof S bend. Bellof drove it on the Nordschleife, setting a record for eternity. In a Porsche 956.007. 650 PS. Leuchter is following Bellof with 340 PS less, but in the same spirit. Schwalbenschwanz, Galgenkopf: “The Galgenkopf is also crucial for a fast lap. 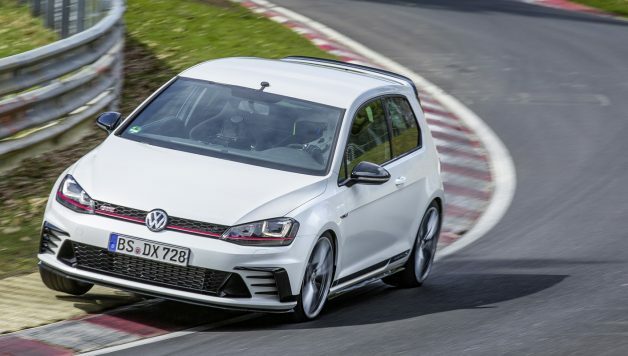 If I can drive out of it at high speed, I can reach the Döttinger Höhe at a speed of more than 250 km/h.” Seconds later, the Golf GTI Clubsport S shoots through the light beam at the finish. A time of 7 minutes, 49.21 seconds. Never before has a front-wheel drive production vehicle finished a lap of the Nordschleife so fast.